February 26, 2019  Adlon nearly stopped working on her FX show after co-creator Louis C.K. admitted to sexual misconduct with multiple women. 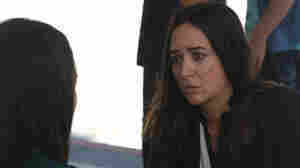 She severed ties and, after an extended break, decided to continue the show. February 25, 2019  Sunday night's Oscars were the first in a long while to go without a host. It didn't stop the accolades from coming, though, and the kinda sorta part-true Green Book won best picture. 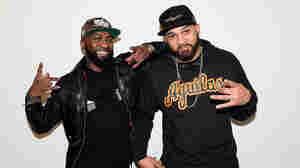 February 24, 2019  In the crowded field of late-night talk show hosts, the comedy duo of Desus and Mero are unlike any other, with an irreverent comedy style anchored in their Bronx upbringing. 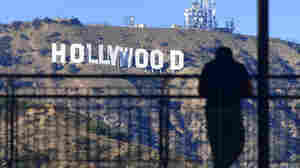 February 22, 2019  The actor was arrested Thursday for filing a false police report. Now, it appears the role that made him famous may be in doubt. Empire producers said they chose to "avoid further disruption on set." February 22, 2019  Sunday is Academy Awards night again. Here's how to find the ceremony, where to find our coverage and how to brush up before your friends start asking who should win. 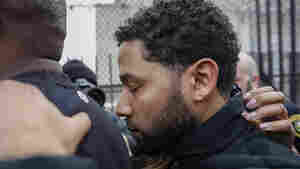 February 21, 2019  The Empire actor has been released on bail after being arrested on charges of making a false police report. Officials say he paid two men to fake an attack on him to "further his own public profile." 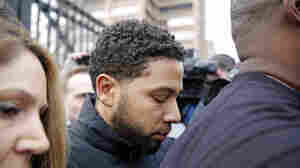 February 21, 2019  Chicago police charged Jussie Smollett with disorderly conduct after he allegedly filed a false report about being attacked. The story has been wracked with controversy since it emerged last month. February 21, 2019  A woman who fled the U.S. to join ISIS wants to return home. Coast Guard officer arrested for allegedly planning an attack. 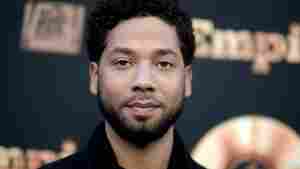 Police charge Empire actor Jussie Smollett with filing a false report. February 20, 2019  The actor had reported being the victim of a racist and homophobic attack. Prosecutors say that report was not true.